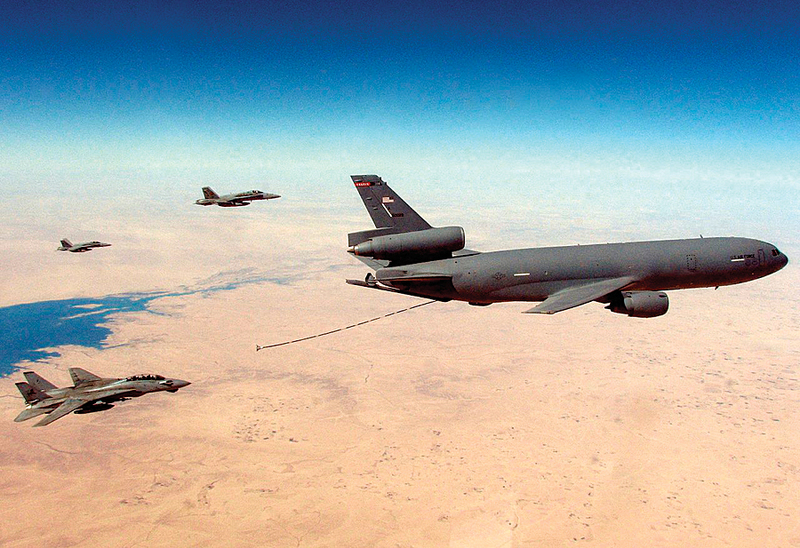 AMC provides global air mobility through airlift and aerial refueling for the United States armed forces. Photo courtesy of US Navy/LTJG Scott Timmester. In preparation for a presidential visit, the Air Mobility Command (AMC), which supplies airlift and aerial refueling for the US Armed Forces, had to move an enormous amount of cargo, passengers, and aircraft traveling through tiny Ascension Island off the coast of West Africa. The AMC Geo Integration Office (GIO) supported this operation by creating parking plans for large aircraft, such as the 174-foot long C-17 Globemaster III, which had to land on the 34-square-mile island. Normally tranquil Ascension Island was transformed into a major military aircraft hub during the month-long operation, moving equipment and passengers to and from Africa in preparation for President Barack Obama’s official state visit to the African continent in June 2013. AMC’s global air mission means that at a moment’s notice, aircraft and crew can be called to anywhere in the world. GIO staff supported the 18th Air Force planners who were preparing for the presidential visit by providing aircraft parking plans for Ascension Island as a possible mission hub for this event. GIO provides a geospatial picture of possible aircraft parking arrangements by supplying maps that assist in determining ramp space on an airfield. While parking plans make up only a small part of the logistics required to move the president around the world, they play an important role in preparing for operations that require large movements of aircraft, like the Ascension Island operation. The GIO’s primary tool for creating parking plans is Geospatial Expeditionary Planning Tool (GeoExPT). In addition to aircraft beddown, users can create tent city plans, plot airfield damage, or determine the minimum operating strip. Aircraft parking plans might be created for events like the humanitarian airlift support after the earthquake and nuclear incident in Japan, flooding in Grand Forks, North Dakota, or earthquake or hurricane relief support in the Caribbean, as well as for military exercises. Air Mobility Command's Geo Integration Office develops plans for determining the usability of an airfield for future missions. 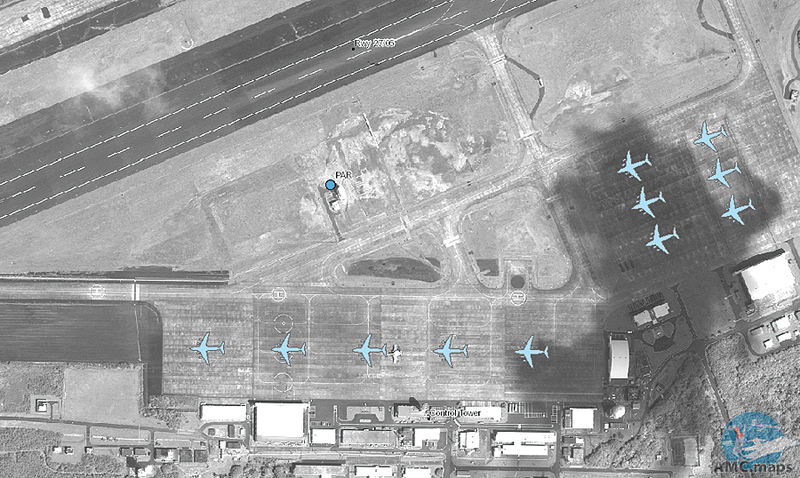 This image shows an aircraft parking plan for C-17 Globemaster IIIs on the airfield in Iwo Jima, Japan. 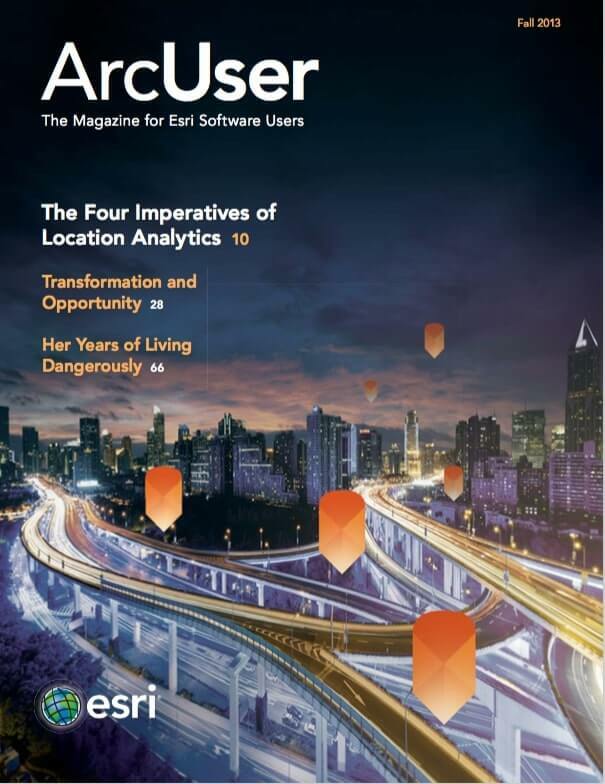 Using GeoExPT, a GIS planner lines up aircraft silhouettes that have accurate dimensions, in the order requested, taking into account the limitations of the airfield, established aircraft parking standards, and Air Force Instruction guidelines. When planning for mobility aircraft, which include large aircraft like the KC-10 Extender (an aerial refueling tanker) and the C-17 Globemaster III (a military transport aircraft), these considerations might include ramp weight limits and wingspan. Once completed, the map is provided to the requester, who uses it for decision making and planning. In the case of Ascension Island, GIO created of a mobility aircraft hub for President Barack Obama’s visit to Africa this summer. In mid-June, the first four C-17s arrived from Travis Air Force Base, California; Joint Base McGuire-Dix-Lakehurst, New Jersey; and Joint Base Lewis-McChord; Washington. Nearly 100 C-17 and KC-10 aircraft would use the airfield over the next month. From a generic request for parking plan information, AMC GIO support helped the operation, which became the largest movement of military equipment and personnel through Ascension Island since the Falklands War in 1982. For additional information, contact the Geo Integration Office at 618-229-4360 or amc.maps@us.af.mil. Capt. David Bredesen of the 621st Contingency Response Wing contributed to this article. Andree Swanson, a retired Air Force officer, is the communications manager for Air Mobility Command Geo Integration Office. She works to promote awareness of the AMC GIO maps program and also trains and educates new users.